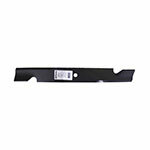 Find quality replacement parts and accessories for lawn mowers and lawn equipment. Replace just about anything from our inventory including blades, cables, covers, decks and deck parts, engines, grass bags, hydro pumps, pulleys, seats, wheels & tires, and wheel motors. We offer aftermarket parts for popular brands like Exmark, Gravely, Honda, Snapper, MTD, Toro, Scag, and AYP.